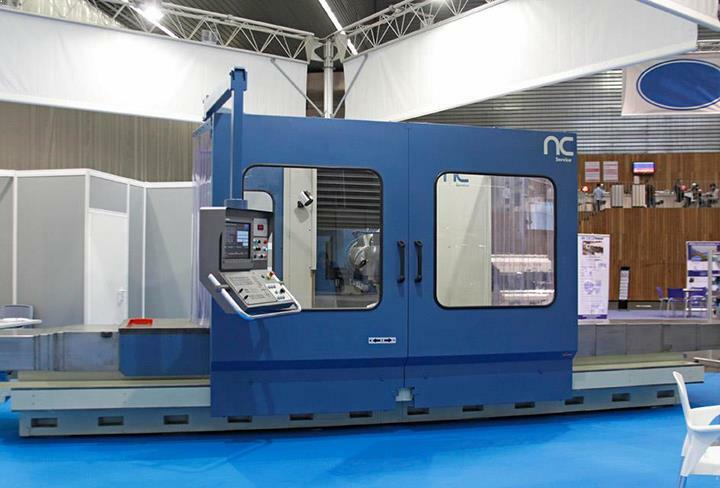 At Nicolás Correa Service we have completed the overhauling of the Correa A30/30 bed milling machine coinciding with the holding in Spain of the first edition of the FITMAQ trade fair (International Fair for used and Second-hand Machinery). This fixed-bench rotary-table milling machine incorporates the dual guide ways concept, specifically designed for applications requiring a heavy-duty chip removal capacity, which also makes it possible to considerably improve dynamic performance. It has a 3,000 mm travel on its X axis and 1,200 mm on its Y axis, and if fitted with a Heidenhain TNC-426 numerical control and U40 universal head. Thanks to this refurbishing here at NC SERVICE, we have lengthened the useful life of this milling machine, first constructed in 2001, re-establishing the original reliability and robustness, with guaranteed productivity and performance. This Correa A30/30 milling machine is available in the company´s second-hand milling machine stock.